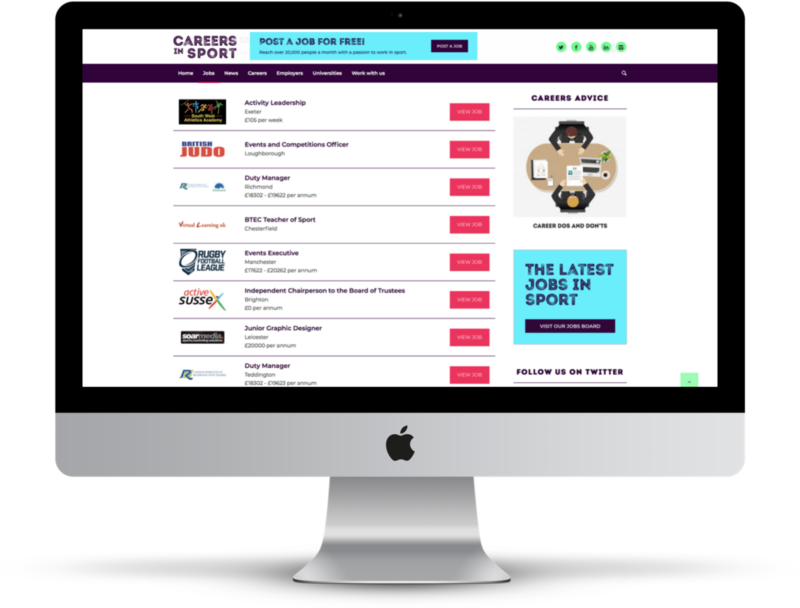 Careers in Sport has a series of products, services and events to support employers recruitment needs as well as colleges, universities and training companies that specialise in the fitness, sports and leisure sectors. Learn how you can use our multiple channels and events to reach your target market… take a look at our options below. 1 social media post a month across our platforms promoting your directory page.